Hi, I'm Kate for the Purell solution. People trust Purell for safe, effective products that reduce germs and support health. Show you care about cleanliness, health, and well-being with the Purell Solution. 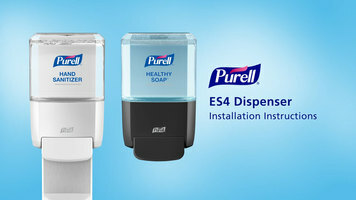 The Purell Solution includes the new ES4 dispenser, a reliable push-style dispenser that is available for Purell hand sanitizer and new Purell brand Healthy Soap. Built on over 65 years of dispenser engineering experience, the ES4 dispenser is durable and reliable, with looks that harmonize with any style. With the ES4, maintenance is simple. Because it is a manual push-style system, there are no batteries to change, ever. At-A-Glance refills let your monitor product levels with just one look. It's quick and easy. Plus, every time you put in a fresh new refill it renews the look of the dispenser. Purell ES4 dispensers can be personalized with your logo to make a statement about your commitment to the best in-health and hygiene. The Purell Solution includes a complete set of products all to help reduce the spread of germs while providing no trade off protection. Ready to learn more? Visit us online at www.purellsolution.com. I'm Kate for the Purell Solution. 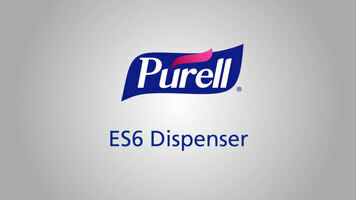 Part of the Purell Solution, the ES4 dispenser provides a great way to keep germs and bacteria at bay. Easy to use with either hand soap or sanitizer, this dispenser is the perfect, healthy addition to your business. With a no-touch hand soap dispenser like the Purell ES6, you can be sure you are providing the best service to your guests and employees. Simple to use with automated, portioned dispensing, this dispenser is ideal for any kitchen or bathroom. The Purell ES6 dispensers are a great hands-free option for dispensing hand soap. See how easily you can have it installed and ready to use in your restroom or kitchen. Install your Purell ES4 dispenser without problem by following these instructions. You can add convenient hand soap or sanitizer wherever you need it with one of these dispensers.